A GREAT ART FAIR, in Rotterdam. Perfectly organised. I have had a wonderful experience. For the first time I presented my art this way. I’ve met very talented fellow artists. My wonderful neighbour artists Elena Shalenkova and Huub Simons. 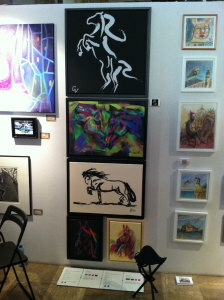 My modern digital art and especially my horse art got a lot of attention and compliments. This Art Fair was an empowering experience, also with special thanks to my sister, also an artist, Jon van Kampen. 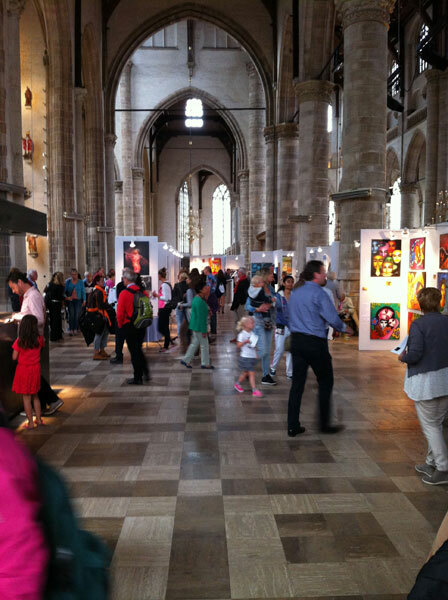 The Location was perfect in the Laurenskerk Rotterdam and the staff of Global Art Agency (GAA) done a superb job of helping every artist out.